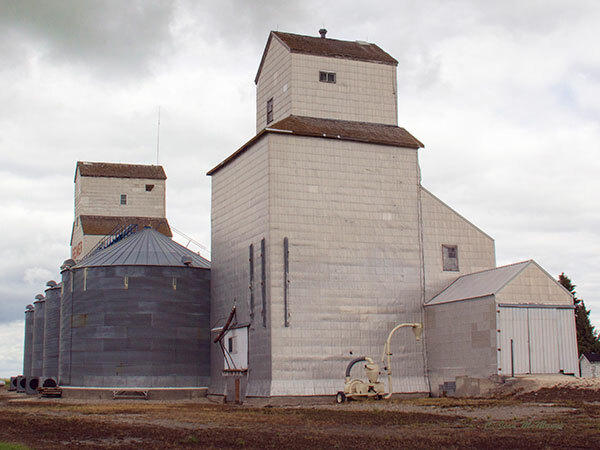 A wooden grain elevator in Purves in what is now the Municipality of Louise, on the now-abandoned CPR Snowflake Subdivision, was operated by Federal Grain. 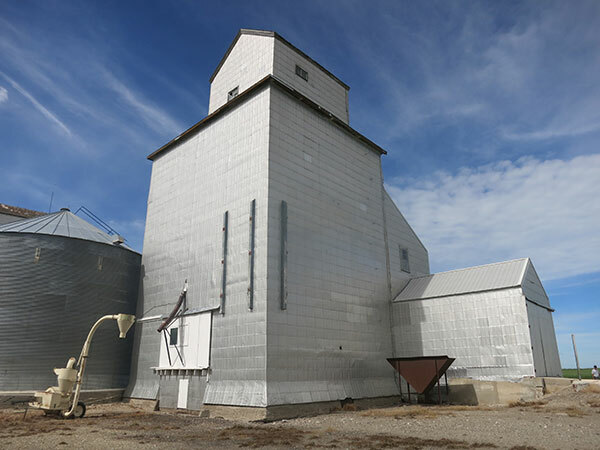 Sold in 1972 to Manitoba Pool Elevators, it was closed in December 1980 and is now used for private grain storage. 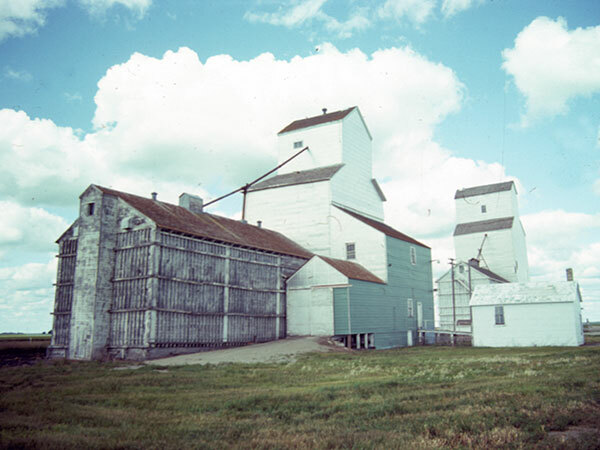 Source: Historic Resources Branch, Grain Elevator Inventory, slide 2050. 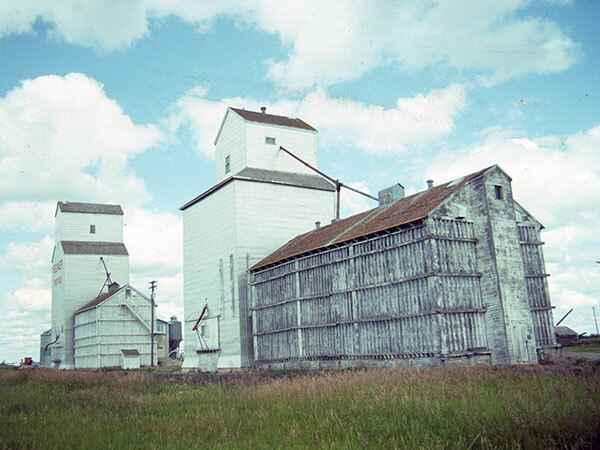 Source: Historic Resources Branch, Grain Elevator Inventory, slide 2049. We thank Jan Collins for providing additional information used here. This page was prepared by Jean McManus and Gordon Goldsborough.